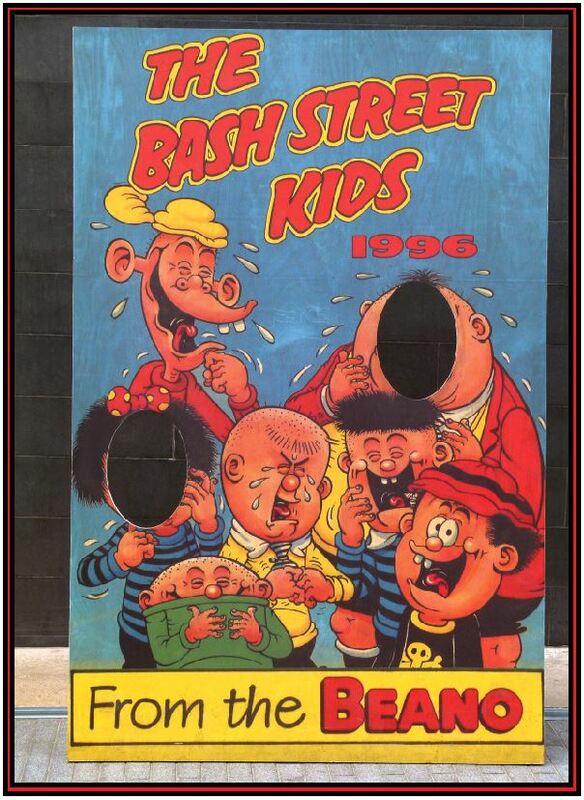 As a child, I was a fond reader of ‘The Beano’; the finest comic to come out of Dundee (along with ‘The Dandy’ of course…) The ‘Bash Street Kids’ were my favorite, so it was nice to spot this poke-your-head-through-for-a-photo-op board on the Southbank recently. It’s part of ‘Beano Town‘; a fun outing for kids which runs until 8th September 2013. It seems so long ago that the highlight of my week was getting the Dandy and Beano comics delivered to the house, and Christmas wasn’t complete without the Annuals.